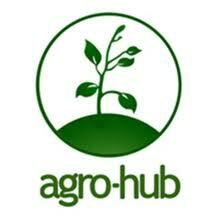 Back in September we awarded Agro-Hub £5,700 to use for core costs. Here’s a quick update with how they’ve been getting on. Agro-Hub finished 2012 on a high with the completion of its SMS Deck which will allow farmers to see more of the agricultural conversation going on within the Agro-Hub network. It works a bit like a Tweet Deck for those readers who are social media addicts! The great news about the SMS Deck is that the team think it will be profit generating as they will be able to sell the underlying program to other organisations. Along with technical developments the team have also moved ahead with the lease for a building in which to house their offices and a produce shop. With these basics in place 2013 looks to be an exciting year for Agro-Hub. The SMS Deck will be launched and marketed and the shop opened to the public. Here at Indigo we wish them all the best for a successful 2013.